Shopping in Wilmington’s River District is an adventure all in itself. Discover new treasures in old buildings, including the 19th-century Cotton Exchange’s eight restored buildings with 30 specialty shops and restaurants connected by open-air courtyards. The century-old Chandler’s Wharf building is home to several boutiques. Walk along Market and Front Streets for an eclectic mix of locally owned shops with everything from one-of-a-kind gifts and vintage or designer clothing to art and antiques. Find beach chic boutiques, destination malls, shopping villages by the sea, surf shops and more. 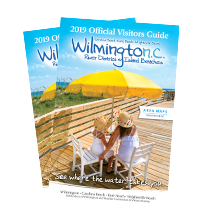 Wilmington and our Island Beaches’ shopping options take retail therapy to new levels.